When you’re in a rush in the morning, eyeshadow can be a real annoyance. I’ll whack out my palette, brush on whatever shade I’m feeling and just as I’m finished I’ll realise I’ve covered not only my eyelids with the eyeshadow, but also my cheeks too. Damn that fall-out. I got these cream eyeshadows last year and boy, I’m so glad I did. I started my collection with On and On Bronze, being a massive bronze lover and got on with it instantly. This shade is that typical summery bronze and is, and will continue to be my favourite and most used. For Christmas I got Metallic Pomegranate and Eternal Gold. Metallic Pomegranate is a cranberry shade which at first I was a bit scared of trying, I don’t quite know why now! I can tell it would look beautiful on a brown eye. 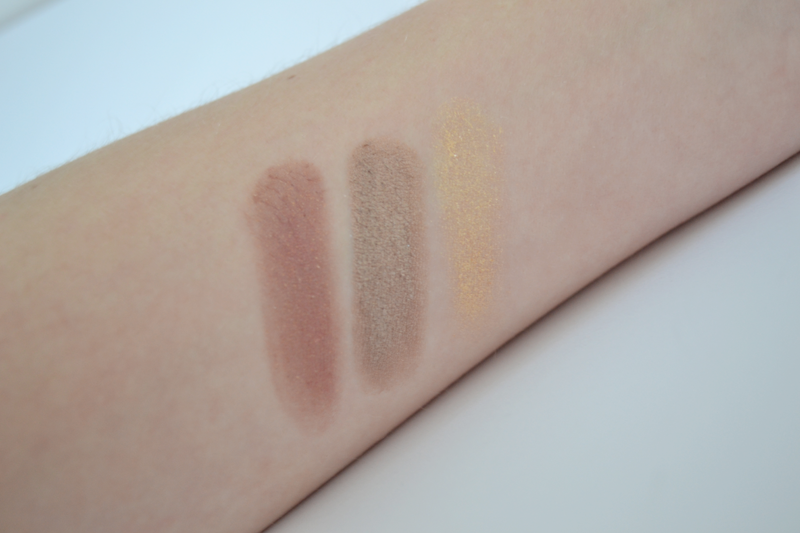 Eternal Gold is a bit less pigmented than the other two, but great nonetheless. A bog-standard shimmer gold. I love using this as a base underneath a pinky shade from my Naked 3 palette, it gives a beauty pink gold look! 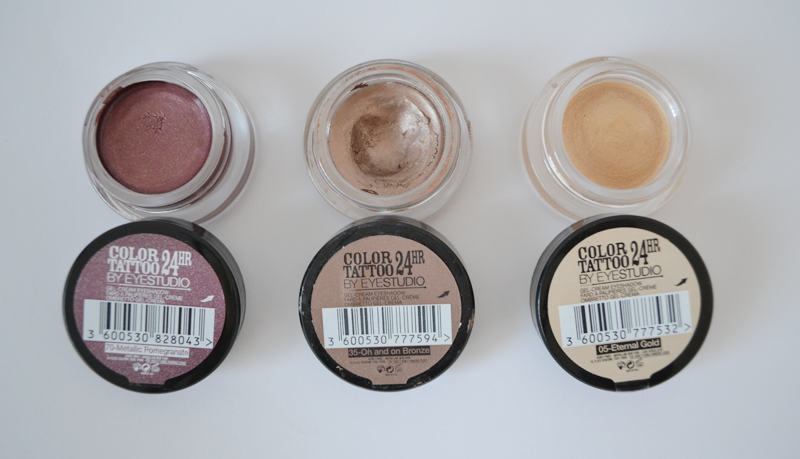 The quality of all of these are excellent, great pigmentation and easy to use. I love the upmarket glass packaging, although some have said if the lids not on right it can dry out so be careful of that! Each colour can be built up for the desired look and they blend beautifully. They cost £4.99 from Superdrug/Boots and are definitely worth trying!